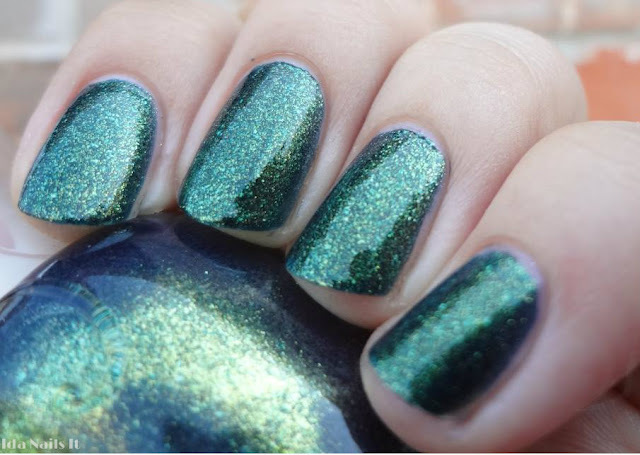 Elianto Racing Green is a Malaysian nail polish and I was lucky enough to get it through a swap months ago. 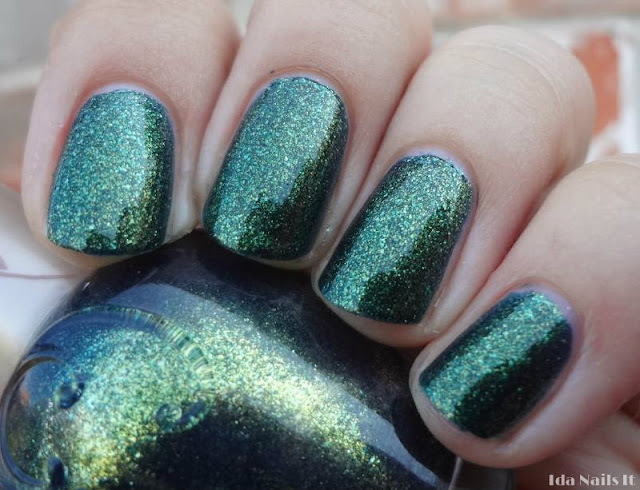 It's a beautiful green polish with green and gold shimmer. Super easy application in two coats.